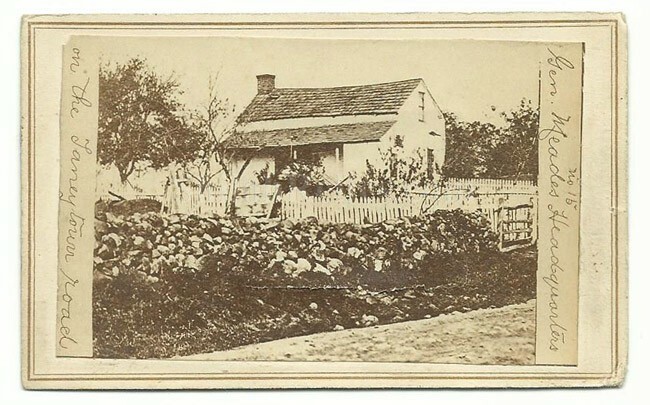 This is a wonderful CDV image of the house that was used by Union General George Meade during the pivotal battle of Gettysburg. This is a fantastic image showing the house and it has the notations on the side that read "No15 Gen. needs headquarters on the Taney town Road." Even early on people realized how important the battle of Gettysburg was and wanted to see all of the important locations. This is a wonderful image and the card stock it is mounted own measures 4 inches wide and is 2 1/2 inches tall. 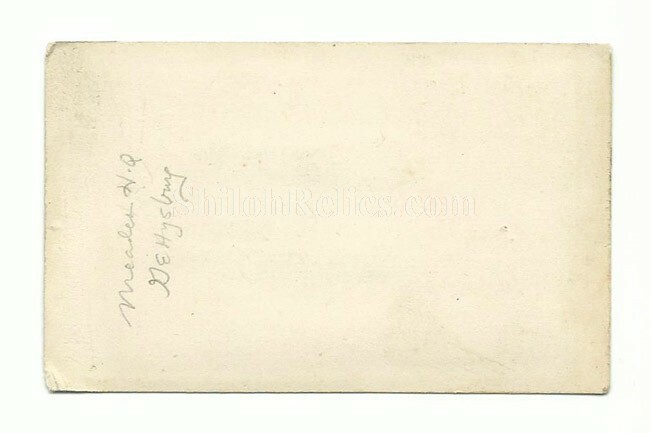 This is a must-have for any Gettysburg collector.